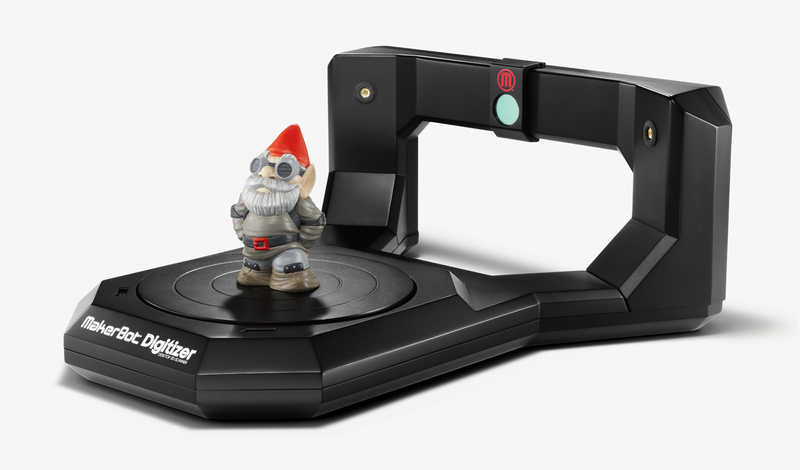 3D scanners are not that new as a technology, however with the increased interest in 3D printing in the last few years the interest in 3D scanners has also increased significantly, and that goes especially when talking about affordable 3D printers and 3D scanners. A 3D scanner should in theory allow you to scan a real world object into a 3D model that later on you will be able to print into a physical object again with the help of a 3D printer. This could be especially useful for people that are interested in 3D printing, however are not very keen on learning 3D modeling. You should however be very aware of the fact that 3D scanning, much like 3D printing, may be a bit overhyped and is not as easy as it may be represented by companies willing to sell you their products for 3D scanning. This is especially true when we are talking about more affordable 3D scanner solutions that are at a sub $1000 USD level, but can also be very true for models that going higher in terms of price at like $2000-$3000 USD that can still be considered as cheaper consumer oriented products. Nevertheless the concept of 3D scanning is something that we are also interested in with both its advantages and disadvantages at the consumer level of products as there are significantly better and more expensive professional models available, similar to such 3D printers, but our focus is on the more affordable solutions targeted at the normal users. The first thing about 3D scanners that is often not getting enough attention is the quality you can expect to get when you scan a real world object. You should be prepared not to expect a great level of detail of the 3D model that you will get as a result from a 3D scan, while the general shape and some of the detail will mostly be preserved, the finer details will most likely be lost. Also be prepared to spend some more time initially getting to know what the best conditions for scanning are and how to properly use your 3D scanner for best results. 3D scanning usually takes some time and this can greatly vary from one 3D scanner to another, and then you may also need some additional time to work on the scanned 3D model as well. The software that stiches all of the data that gets acquired during the scanning process that should create a solid three-dimensional model is not perfect and very often you may need to fine tune the model for the best results. Do note that most consumer oriented 3D scanners also do allow very limited size of the scanned objects and if they offer more freedom and larger scale scanning often the results are not as good as with smaller objects. Still 3D scanners are a fun thing to play and experiment with, just do not get unrealistic expectations on what the resulting 3D scanned models will look like. You should also be prepared that when you 3D print a 3D scanned object in a single color the final result may be even less detailed than what the 3D model you got. On the images above you can see the MakerBot Digitizer along with an original Gnome figure that was created in a 3D modeling software and then printed in 3D and painted to make it look really nice. Then the figure has been scanned with the MakerBot Digitizer and printed again on a 3D printer from the scanned 3D resulting model. While the end result still looks quite good, you can clearly see that most of the finer details are gone and there are some differences in the larger details that no longer seem as distinguishable as on the original 3D print of the Gnome. 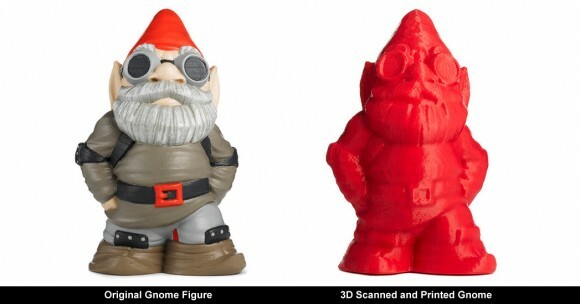 Of course adding color might help in making the two Gnomes seem lore alike, however this is a good example that should bring your expectations from 3D scanners to a more reasonable level.